If there is one thing this city is exceptionally known for, it is its exquisite kite festivals. People visiting in winters can look forward to witnessing the breathtaking scenery when thousands of colorful kites dot the skyline of the city. A place where kites are of such importance, it is hardly surprising to find a museum dedicated to kites here. The Kite Museum was established in the February of 1984 by Bhanu Shah and hosts his vast personal collection of kites along with numerous illustrations and pictures. All the interesting stuff that you will find here reflects the enormous effort and love put forth by Bhanu Shah to bring this museum to life. A one of a kind museum, it projects light on various aspects of kite making and its details. 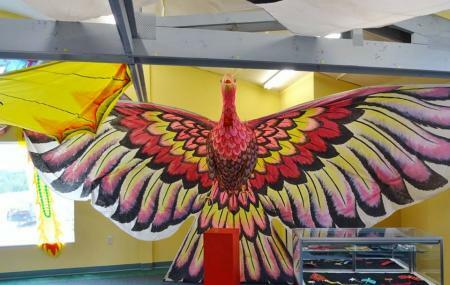 There are around 125 kites, made from various materials and depicted in various creative ways. You will get all the information on kites here! How popular is Kite Museum? People normally club together Gujarat Science City and Lalbhai Dalpatbhai Museum while planning their visit to Kite Museum. Worth a visit for those who love history and have interest in kites. Place is not well maintained. Photography is not allowed but nobody is around to monitor. Entry is free and read through the write-up's. Some of the facts are eye opening and you can gradually see how flying and kite flying as a hobby is connected. Take the kids along!! Its one and only kite museum of India. Still it has been not updated since it was creatd. The museum has wide collection of hand made kites. Some of the kites are so rare. It also displays the history of kites and a video on ahmedabad's famous Uttarayan. Its a good place for kids.